Hello all, I recently picked up an 03 Z1000 w/ 34k miles, power commander, K&N filter, 4-1 Muzzy exhaust, and braided lines. I've been combing through the bike to do general maintenance and sort out what it needs. 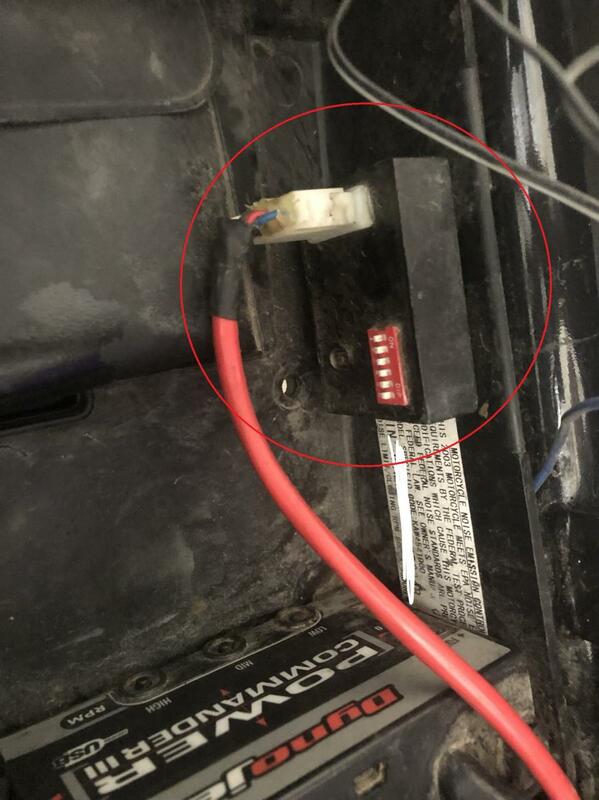 The previous owner has run a wire (poorly) from what I believe is the tail light (+) lead or my other hunch is the (+) lead from this wonky license plate light he had fixed to the bike, into the junction box - fuse "IG"
Is this the ignition system fuse, "IG"? I've browsed the web/forums/service manual and cannot seem to find the true designation for it. Also, below is an image of some sort of control module. Can anyone identify this little box? It runs a large gauge lead down near the alternator lead connector. It has 'Run' and 'dip' near the little white switches. Hi BigCam, and welcome to the forum! Can you post more photos of where the wires go? Like, wayyyyyy more photos. If you have a phone number for the PO, call them. I actually got it figured out today, sorry that picture wasn't more inclusive. That little box runs down to the front sprocket. I believe it's a speedo healer so some kind because the bike is up a couple teeth in the rear sprocket. I'm still stuck on what that IG designation is, I'm fairly certain it's "IGNITION" in the junction box/fuse box. I do however have another issue. 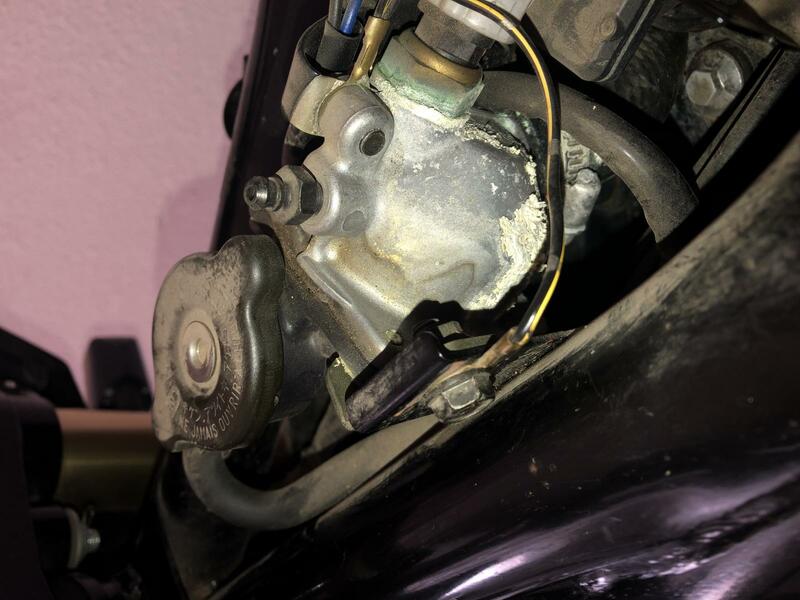 The thermostat housing is leaking fluid. I don't know if it's the oring from the thermostat housing or the radiator fan temp plug. See attached picture. It looks like the radiator temp plug, do you think it could just be a crush washer? That box is for a First Gen SpeedoHealer. As for the leak, it looks like it may be where the sensor is screwed into the housing. Maybe get a new sensor and crushwasher. I rearranged the tail of the bike and when I took off the little box in question, it had SH marked on the back so I'm sure it's a speedohealer. I took the coolant temp plug out and put some plumbers tape around the threads and it seemed to fix the issue. I rode the bike hard the other day and I can't find any leaks now. Thanks for the help.